For many people, this tip has the potential to have a bigger impact than any other single action. The catch? You have to cut down on caffeine, and as any caffeine drinker can attest, this is easier said than done. For those who aren't aware, the ability to manage your emotions and remain calm under pressure has a direct link to your performance. TalentSmart has conducted research with more than a million people, and we’ve found that 90% of top performers are high in emotional intelligence. These individuals are skilled at managing their emotions (even in times of high stress) in order to remain calm and in control. Most people start drinking caffeine because it makes them feel more alert and improves their mood. Many studies suggest that caffeine actually improves cognitive task performance (memory, attention span, etc.) in the short-term. Unfortunately, these studies fail to consider the participants’ caffeine habits. New research from Johns Hopkins Medical School shows that performance increases due to caffeine intake are the result of caffeine drinkers experiencing a short-term reversal of caffeine withdrawal. By controlling for caffeine use in study participants, John Hopkins researchers found that caffeine-related performance improvement is nonexistent without caffeine withdrawal. In essence, coming off caffeine reduces your cognitive performance and has a negative impact on your mood. The only way to get back to normal is to drink caffeine, and when you do drink it, you feel like it’s taking you to new heights. In reality, the caffeine is just taking your performance back to normal for a short period. Drinking caffeine triggers the release of adrenaline. Adrenaline is the source of the “fight or flight” response, a survival mechanism that forces you to stand up and fight or run for the hills when faced with a threat. The fight-or-flight mechanism sidesteps rational thinking in favor of a faster response. This is great when a bear is chasing you, but not so great when you’re responding to a curt email. When caffeine puts your brain and body into this hyper-aroused state, your emotions overrun your behavior. Irritability and anxiety are the most commonly seen emotional effects of caffeine, but caffeine enables all of your emotions to take charge. The negative effects of a caffeine-generated adrenaline surge are not just behavioral. Researchers at Carnegie Mellon University found that large doses of caffeine raise blood pressure, stimulate the heart, and produce rapid shallow breathing, which readers of Emotional Intelligence 2.0 know deprives the brain of the oxygen needed to keep your thinking calm and rational. When you sleep, your brain literally recharges, shuffling through the day’s memories and storing or discarding them (which causes dreams), so that you wake up alert and clear-headed. Your self-control, focus, memory, and information processing speed are all reduced when you don’t get enough—or the right kind—of sleep. Your brain is very fickle when it comes to sleep. For you to wake up feeling rested, your brain needs to move through an elaborate series of cycles. You can help this process along and improve the quality of your sleep by reducing your caffeine intake. Here’s why you’ll want to: caffeine has a six-hour half-life, which means it takes a full twenty-four hours to work its way out of your system. Have a cup of joe at eight a.m., and you’ll still have 25% of the caffeine in your body at eight p.m. Anything you drink after noon will still be at 50% strength at bedtime. 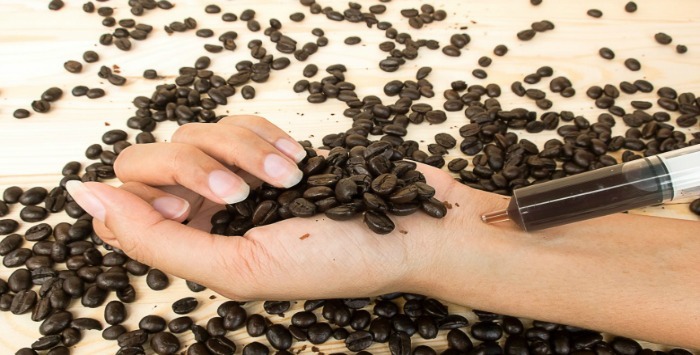 Any caffeine in your bloodstream—with the negative effects increasing with the dose—makes it harder to fall asleep. When you do finally fall asleep, the worst is yet to come. Caffeine disrupts the quality of your sleep by reducing rapid eye movement (REM) sleep, the deep sleep when your body recuperates and processes emotions. When caffeine disrupts your sleep, you wake up the next day with an emotional handicap. You’re naturally going to be inclined to grab a cup of coffee or an energy drink to try to make yourself feel better. The caffeine produces surges of adrenaline, which further your emotional handicap. Caffeine and lack of sleep leave you feeling tired in the afternoon, so you drink more caffeine, which leaves even more of it in your bloodstream at bedtime. Caffeine very quickly creates a vicious cycle. Like any stimulant, caffeine is physiologically and psychologically addictive. If you do choose to lower your caffeine intake, you should do so slowly under the guidance of a qualified medical professional. The researchers at Johns Hopkins found that caffeine withdrawal causes headache, fatigue, sleepiness, and difficulty concentrating. Some people report feeling flu-like symptoms, depression, and anxiety after reducing intake by as little as one cup a day. 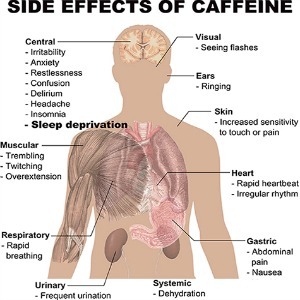 Slowly tapering your caffeine dosage each day can greatly reduce these withdrawal symptoms.